care and instruction: washable, comfortable, light weight. Sun proof, water proof. Good for garden, pool side, terrace. Keep sharp things away. 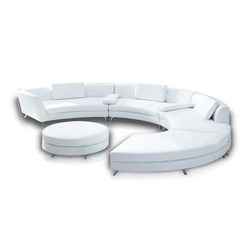 In our extensive product range, we are highly engaged to manufacture a quality approved range of Round Sofa Set. - Used for modern living room to make it more beautiful. These sofa sets are designed using foam and cloth with silk finish, sourced from the trustworthy vendors of the market. the sofa sets are highly acclaimed in the market for their features such as perfect finish, lightweight, intricate design and aesthetic appeal. 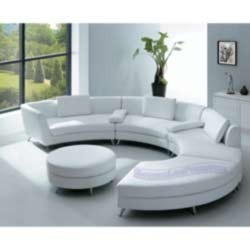 Suitable for drawing rooms, these sofa sets are perfect options for luxurious flat or corporate houses.